Android enthusiasts in Cincinnati and its suburbs need wait no longer to get in on the Android tablet experience. Cincinnati Bell, which provides GSM wireless service in southeastern Indiana, southwestern Ohio, and northwestern Kentucky, is now offering the Commtiva N700 Tablet. 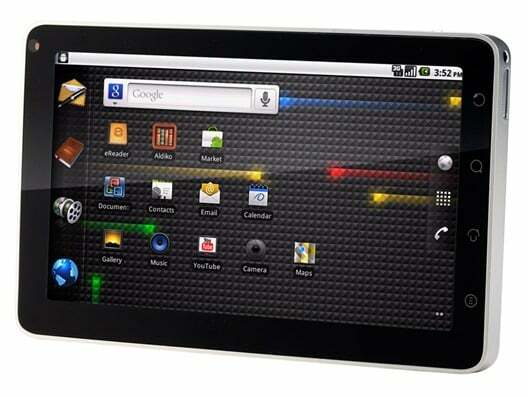 The N700 is a 7 inch tablet, and will run on either wi-fi or Cincinnati Bell's Quad Band & 3G Networks. While not the most cutting-edge device on the market (still running Android OS 2.2), it still packs a respectable amount of punch, with a 600 MHz processor, 3 megapixel camera, and 480 x 800 WVGA TFT LCM display. Listing at $399.99, CB is offering its subscribers a two-year contract price of $199.99, after a rebate, making this a very affordable entry into the tablet world.